Last night, when I wrote about Senator Jim DeMint's efforts to shut down Senate business, I said it was indicative of the Republican Party's utterly irresponsible attitude towards governing. And I still believe that's the case. It's not coincidental that DeMint's party is the same one that has filibustered legislation and stalled presidential nomination at unprecedented levels. But sometimes Democrats show the same disdain for the public good. A case in point is Mary Landrieu, the Louisana Senator, who is blocking confirmation of Jack Lew to become the next director of the Office of Management and Budget. Lew is about as utterly unobjectionable as presidential appointees come. He's gone through Senate confirmation in this Congress already, in order to serve as a deputy to Hillary Clinton at the State Department, and he's served as OMB director once before, during the later years of the Clinton Administration. During that time he acquired a reputation for sound management and integrity, earning respect even from Republicans. Last week, the Senate Budget Committee approved his nomination by a vote of 22 to 1. Although Mr. Lew clearly possesses the expertise necessary to serve as one of the President's most important economic advisors, I found that he lacked sufficient concern for the host of economic challenges confronting the Gulf Coast. I cannot support further action on Mr. Lew's nomination to be a key economic advisor to the President until I am convinced that the President and his Administration understand the detrimental impacts that the actual and de facto moratoria continue to have on the Gulf Coast. Secretary [Ken] Salazar made clear that he understands the Senators’ concerns, but that he will make decisions on the temporary deepwater drilling suspensions based on the progress of the reforms we are implementing and the recommendations of [Bureau of Ocean Energy Management, Regulation and Enforcement] Director [Michael] Bromwich. He will make those decisions independently, at his own pace, with the goal of creating a gold standard for worker safety, drilling safety, and environmental protection. Director Bromwich also provided an update on the progress of shallow water permitting. He has made it clear that BOEM will not be cutting corners or rubber stamping anything. Oil and gas companies need to meet the new standards for safety and environmental compliance if they are going to be allowed to develop in U.S. waters. 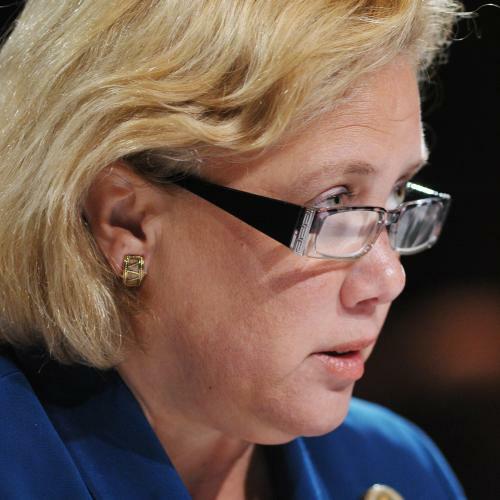 Landrieu's hold is both absurd and irresponsible. Lew, and his nomination, has nothing to do with the moratorium, and, as shown by the two committee votes, is remarkably well-liked. At the same time, the window for a floor vote on Lew's nomination is very small, since the Senate is leaving for the election next week, and the 2012 budget process is beginning in the agencies. If Lew isn't confirmed soon, he won't be involved in the first stages of the budget process, which is a significant part of his job. By randomly choosing to take Lew's nomination hostage, Landrieu is potentially causing havoc with the budget. And I see little possibility for Obama to accede to her demands, for obvious reasons. Landrieu should drop her hold sooner rather than later, and allow Lew's nomination a fair floor vote before the budget process leaves him behind.